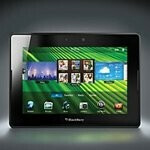 If you’ve held off from buying recent respectable tablets like the Motorola XOOM and Apple iPad 2 just because you want to experience something totally different, then you’ll probably be happy knowing that we’re nearing the launch of the highly anticipated BlackBerry PlayBook. Naturally, we’re one step closer to that inevitable time because Staples has just given the green lights for pre-orders on the tablet through its web site. Listed at $499 with anticipated shipping dates between April 18th and 20th, you can utterly feel that the time is nearing for this one to finally land in the palm of your hands. Precisely entering the thick of battle with some other respected tablets looming in the near future, it’ll be interesting to see how the BlackBerry PlayBook will compete in this already competitive market. Nonetheless, its $499 pricing will undoubtedly attract some people since it doesn’t necessarily come off as something that's too much of a costly investment. Should read more like recycling plants are now excepting the BB playbook =) Is anyone actually that interested in this devise that they are considering a pre-order? the playbook looks a million times better than these failure android tablets being released. I'm actually quite excited to see what RIM will bring to the table with this tab. It really feels like they are going to bring out everything they have...something they should have done with the Torch, but epically failed at. Sounds like RIM is going to fail at this as well. LOL! I am excited to fool around with one. Hopefully the model in the store will be live so that I can determine if it is truly useful. Though...I would say that I am way more interested in the HP tablet than this Seemingly silly playbook. It is certain that a feeling of "hurry and get one" is not present. Android/Black berry, dualcore, portable(not an exaggerated ipad size), fixed battery issue(Unlike HTC products), 4G(Sprints upcoming version) Tablet! im in!